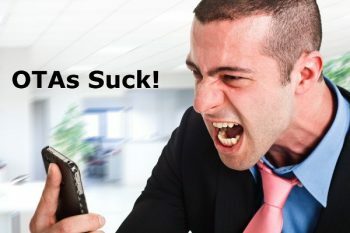 Online Travel Sucking Wind with Consumers! Huh? A USA Today story from yesterday pretty much tells on an online travel industry that has failed on nearly every front to deliver. Let’s face it, just because you can book a plane or hotel on Expedia, this does not equal the innovation and awe so many have spoken of these last three years. Tnooz to this beleaguered writer, online travel should be farther along by now in delivering on its promise. Travel planning site Hipmunk has just received 15 million USD in its second round of investment led by led by Institutional Venture Partners (IVP). Could hotel search get any more competitive than it is already? Well apparently, err, yes it can. 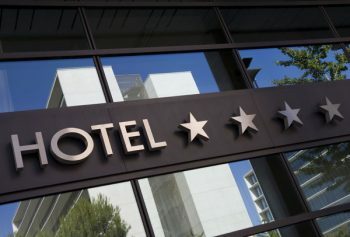 The newly released HotelSweep is the latest fledgling in a long line of hotel search tools to hit the web, promising to make looking for a hotel even more convenient than it is already. Rolling into town in the dead of night, the last thing that weary travelers need is to waste time running around trying to find a place to get their heads down. Yet most of us have found ourselves in this situation one time or another. So what happens? More often than not we get taken for a ride by some dodgy cab driver, dumped in the middle of nowhere with only one grotty, grubby excuse for hotel in sight, with little choice but to bed down at less than satisfying accommodations. Hipmonk, maker of the ultra cool fight search tool, has set site on hotel finding on mobile now. Sparkly clean accomodation finder HotelMaps is a welcome surprise to the space being dominated by Google and Hipmunk currently. The German startup affords users an interactive experience that leads to a no nonsense booking experience. 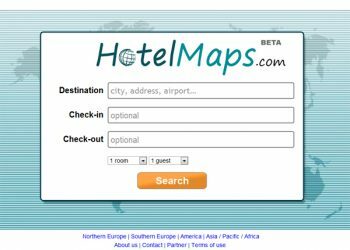 For those in search of simplicity and accuracy in hotel finding, HotelMaps appears to be a winner.